(CISF). From this article visitors will be able to Download e-Vetan Login Employee Corner. Complete process to obtain CISF Payslip has been started for individual month. By following CISF payslip login any candidate may easily ensure amount of salary, special allowances allowed by central government. By observing help from online CISF payslip methods, appliers may view pay slip for current month, or any month as per your need. As per the recommendations and implementations of the 7th pay commission, there are done some changes that are implemented in increment of pay scale for the Employees working under CISF. Such persons who were looking for Central Industrial Security Force Online Payslip Login they are informed that it is now working online to download slip of pay and if you face any difficulty in receiving online CISF payslip than directly follow provided steps which are here to give you direction to get the required view of pay slip for current month, or any month as per your need. Guys keep tuned with this post and get the details which you want to check. Other highlights in favour of CISF Payslip are prepared below for all the visitors of this portal. All the best for long run career!! After reaching on home page hit on “Employees Corner” tab that is available in right side. Further this will navigate to new page where you will see CISF Employee Corner Payslip login which will look in an image. On appeared image individuals have to enter the User ID and Password and press on “Login” link. 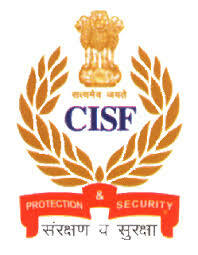 The username is the “Force Number” provided at the time of the recruitment to CISF. Now Payslip of CISF Personnel will appear on your computer screen within a second. You can also print the Payslip CISF directly from the web site without downloading it. By login to e-Vetan you will reach to a page which will look in image. In this step you need to enter “User Name” and “Password” in provided space. Your username is your Force Number and password is your date of birth in the DDMMYYYY format. After the details are filled enter on Login tab. In the end take print out of Online Payslip CISF for future use. What If I Forgot the CISF Salary Slip Login Password? To get back your CISF Payslip password, go through below given steps. Now select “Employees Corner” section that is available in right side. On appeared page follow “To Reset Password” and enter on “Press Here” link. Now you are required to enter the Employee Corner ID and letter and press on the “Next” link. One time password (OTP) will be send on your register mobile number. You can note down it and keep it secure for future need. The apex pay of paramilitary forces has been increased to Rs 80000. This brings down the anomaly in the pay structure of paramilitary forces. The Cabinet Committee has allotted construction of 13072 quarters and 113 barracks for CISF personnel throughout the country. While the armies are entitled to 20 days and jawans get 30 days leave, but the paramilitary forces get leave of 15 days. This has been decided to be increased. A single army unit comprises of four companies, while a single unit of CSIF incorporates more than 6 companies, so the CSIF deserved an increment in the pay grades. The paramilitary forces are engaged in different life saving activities, Naxal operations, guarding borders, defending tense situations and election controls. But their pay is identical to the “civil” pay.